Do you like caviar? Always thought that it was too expensive? Not anymore! Get down to Aldi and buy some today. 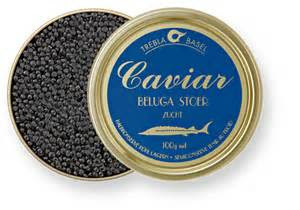 It seems that caviar sales in the UK have hit record levels as budget supermarket brands let shoppers stock up on caviar and other exotic foods at reasonable prices. 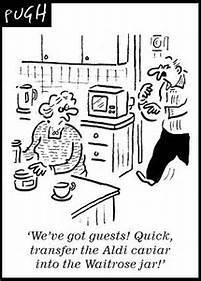 Britons spent £167,000 on caviar in the four weeks to January 2 - a rise of 44% from the same period last year. Other seafoods also saw a huge rise in popularity, with whitebait sales rocketing by nearly 12,000% to £34,000 and cuttlefish up 230% to more than £3,000, according to the industry body Seafish. Red Snapper also established itself as an exotic staple, with sales up 420% year on year to more than £10,000. Experts are reported as saying that the increased availability of caviar and other delicacies in discount supermarkets such as Aldi and Lidl has sent sales soaring. A representative of Seafish told The Grocer magazine that these findings reflect an increased effort from some retailers to expand their product ranges and bring undervalued, high-quality species into the mainstream. A Pint Or A Coffee? Where Are The Ginger Nuts?